Morning! I thought it was cold yesterday when it was in the 50 degree weather, but today I woke up to 35 degrees. I am officially wearing my first sweater for the season. I love the cold and everything good that comes from it. The ambiance that it lends the holiday season to the hot chocolate and fuzzy socks and warm blankets. My body on the other hand likes to complain. Today I’m showing more great home decor that can be found at 6th Republic. 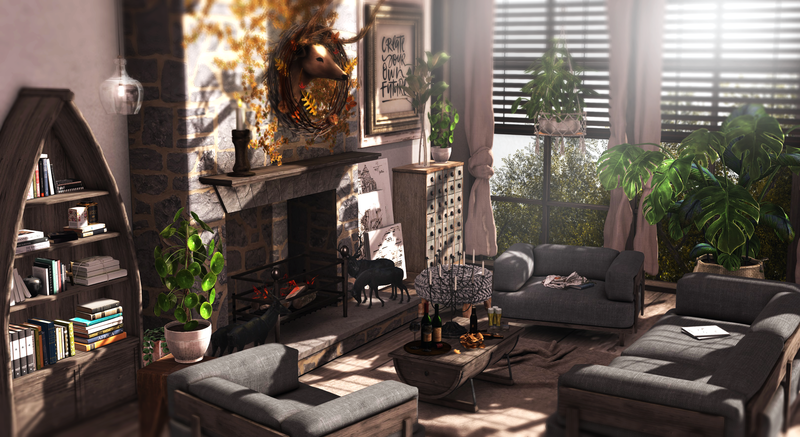 The Forever Young gacha by THOR and the Not For Girls Bedroom set by Insurrecktion. Sometimes the title of my post comes during the scene prep and at other times it’s when I finish my post and I do a preview to make sure it looks decent enough. This was the latter. It’s the first thing that came to mind seeing the surfboard. I’m learning to go with it. It fits. Right? 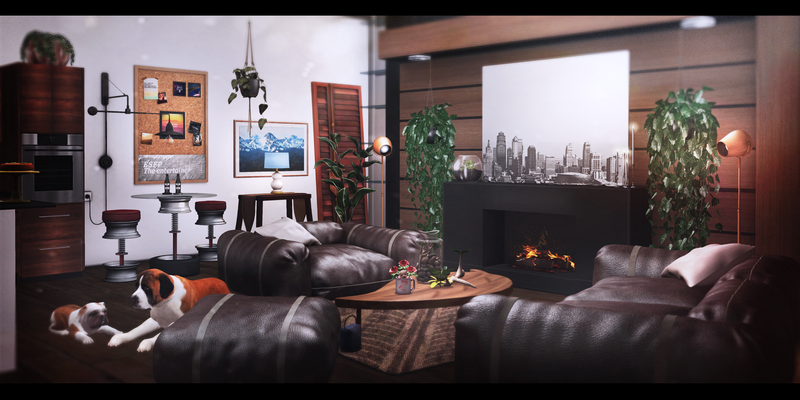 Showcasing the Slater set by Fancy Decor in collaboration with Commoner for this round of Uber. Some fantastic pieces in the set, so I hope you go check it out. Spring Tulips Set. White by naked. Impala by . :: ONE GRID ::. Arlo Divider (Black) by Balaclava!! The Shirvan is an absolutely gorgeous set by the Loft & Aria at Uber this month. If you know these two brands that recently joined forces, then you know how creative and talented they both are with their home and garden creations. I’m thrilled to be showcasing their items and look forward to featuring them in future posts. The set is available in both pg and adult, and sofa includes four neutral color options on the upholstery and several options for the throw and pillows to help customize it to your preference and style. The rest of the pieces of the set minus the chandelier not shown are all listed below and all copy and modifiable. To complete the look I also used the Chidi set by the Loft & Aria. You can find this set at the main store.